tenure it is that he cannot be trusted. 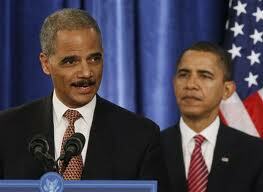 accountability and honesty during the "Fast and Furious"
investigation, are now calling for his resignation. Congress are also calling for his ouster. answer the difficult questions about that botched gun scheme. and they need our help to maximize the grassroots response!